Another giant panda has died after contracting a measle-like virus, bringing the panda death toll from the disease to two in Shaanxi Province, local authorities confirmed on Monday. 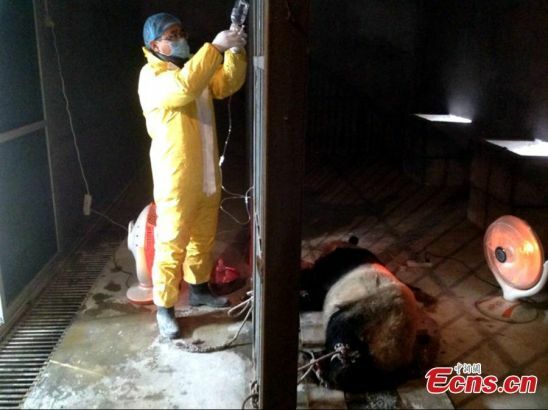 The panda, 8-year-old Dabao, developed a twitch after being infected with canine distemper virus, a viral disease that affects a wide variety of animals including dogs, primates and large cats, in December 2014. Dabao died on Sunday afternoon from heart failure and lung edema. The first panda, 8-year-old Chencheng, died on December 9, 2014. 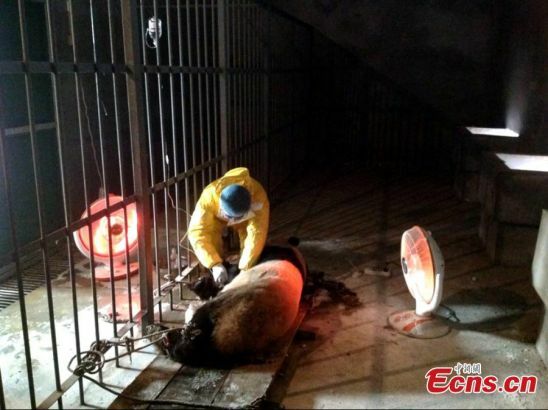 Another two pandas are ill, with one in critical condition. 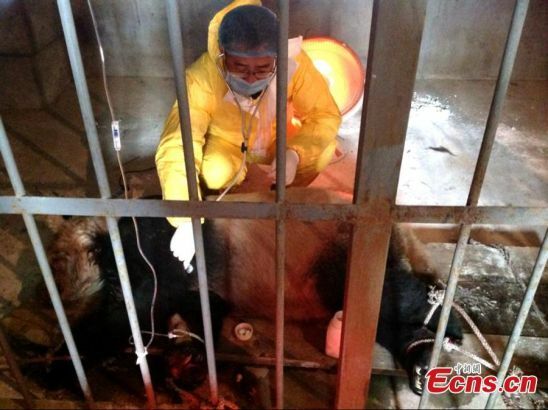 Four other pandas showed fever symptoms and were quarantined for further diagnosis. 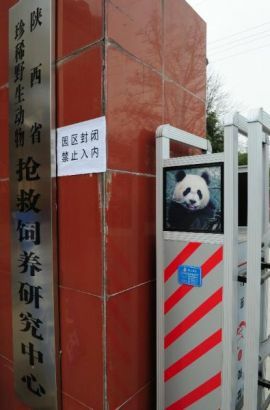 More than 30 experts from across China are caring for the pandas. Canine distemper is a viral disease that affects the gastrointestinal and respiratory tract, as well as the spinal cord and the brain. The infected animals usually have symptoms including high fever, eye inflammation, coughing, vomiting, diarrhea and lethargy. It is highly contagious with a high fatality rate and commonly spread through contact with infected body fluids or contaminated food and water. Prior to the epidemic, the wildlife rescue, breeding and research center of Shaanxi was home to 25 giant pandas. 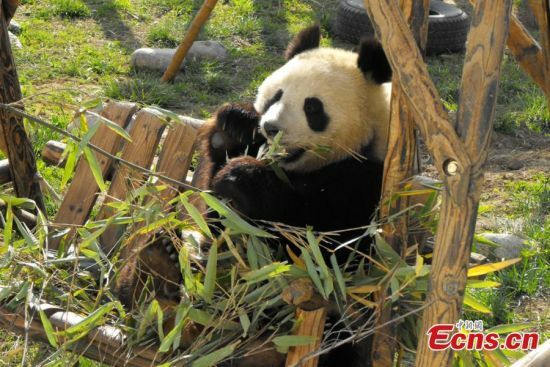 The center has now sent its healthy pandas to other nature reserves in the province.